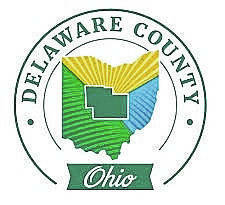 Delaware County announced recently it has launched its redesigned website. Located online at www.co.delaware.oh.us, the site is now enabled to “scale” and display correctly on a variety of screen sizes from mobile devices to desktop computers. The project, 10 months in the making, has created a more modern and user-friendly look for the county’s website. Staff members from the Delaware County Commissioners’ Office and the Auditor’s Office worked with Buckeye Interactive, a New Albany-based firm, on the project. Buckeye Interactive was selected from a field of 13 companies that bid for the project last summer. Founded in 2009, the company has extensive experience with other civic organizations, including the City of Powell, the City of New Albany, Columbus Metropolitan Library and the Village of Obetz. The total cost of the project was budgeted at $160,000, and $155,000 was spent. The project was very unique for its scope, said Delaware County Director of Communications Jane Hawes. The project was complex, said Hawes, but it also inspired a unique degree of cooperation among offices, which has allowed the county to present a more cohesive image and user experience. The website is designed using WordPress, a platform for website design that uses open-source software and is used by organizations and businesses throughout the world. WordPress creates an end product that is not only friendly for outside users to interactive with, but also for inside staff to administer. Gary Merrell, the current president of the Delaware County Board of Commissioners, said he hopes the new site helps the county’s residents and business owners feel more connected to their elected officials. “Making it easier for all of us to communicate with each other can only help us continue to mold the county’s present and future with smart-growth policies and practices,” Merrell said. The redesigned website also features an expanded range of information about and links to websites for other organizations, resources and attractions in the county.